Designed for versatile and effective strength training sessions, the PowerBlock Sport 90 EXP Stage 1 adjustable dumbbells have a sleek, space-efficient patented design and offer a weight selection of 2.3kg-22.7kg (5lbs-50lbs). These robust dumbbells enable you to change weights quickly thanks to a selector pin and have an open handle design, as well as an auto-lock feature to lock adder weights when the handle is placed within weight stack. 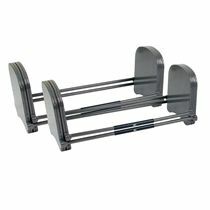 For easy selections, the weight is printed on the rails and the set replaces 16 pairs of dumbbells to let you save space in the weight room. The set includes two 1kg adder weights within per handle to allow for micro-loading weight adjustments and it is coated with anti-friction, non-textured paint for a smooth look and solid durability. for submitting product information about PowerBlock Sport 90 EXP Stage 1 Adjustable Dumbbells We aim to answer all questions within 2-3 days. 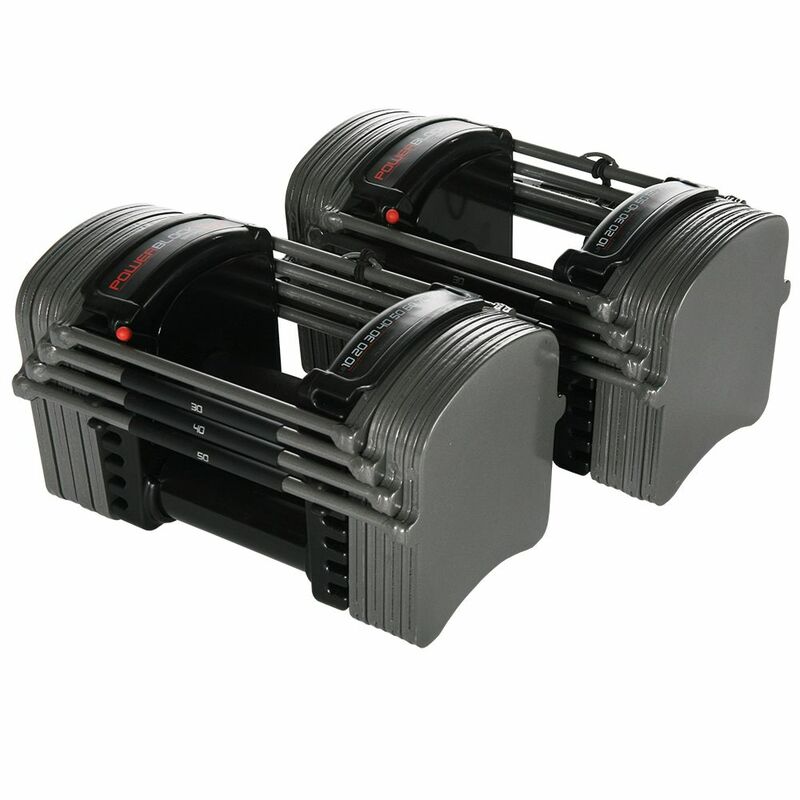 for submitting product information about PowerBlock Sport 90 EXP Stage 1 Adjustable Dumbbells. We aim to answer all questions within 2-3 days. If you provided your name and email address, we will email you as soon as the answer is published. 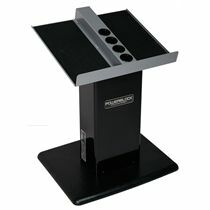 for submitting product review about PowerBlock Sport 90 EXP Stage 1 Adjustable Dumbbells.